It’s something so natural and usually we don’t even think a split second about doing it. But during things like stress, eating, talking & exercise it’s easy to forget to breathe. Which is really ironic because that’s when we need it the most. Have you ever caught yourself holding your breath through those last tough repetitions? You’re making it harder for yourself. I think a lot of us gym goers forget how important it is to breathe during our cardio and weights sessions as it’s kinda the last thing we are thinking of while sweating away. But if you think of yoga, them yogis really have the whole breathing thing figured out. And I think it’s time for us to take a slice of yoga and implement their focus on inhaling and exhaling into our workout routine too. Next time you are doing your squats think about inhaling as you go down and exhaling as you come up. Just focus on your breathing for once. With this extra breathing you should feel stronger & more empowered, which should let your body do more reps and higher weights. Think about all those loud grunting men in the gym – breathing is basically what they are doing, (plus a little extra sound effects). Just breathing a little deeper and with a little bit more awareness can leave you feeling more relaxed, empowered & stronger. 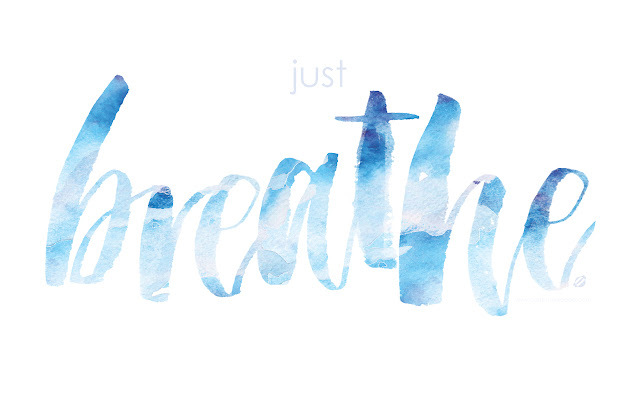 So don’t forget to breathe.